The main character is a young man who leaves his farm on a quest for a magical something or other. His only weapon is a knife that he had forged from his gardening trowel. Said gardening trowel was already a knife (or short sword) beforehand. It has a large magical stone either on the pommel or the hilt. Near the end of the book, the stone ends up saving the young man's life because he had been bitten/scratched/bled on by a creature (I remember "Wyrm" being mentioned) that's very essence was poison. The stone healed him of the affliction the wyrm caused. He kills the dreaded wyrm, collects the magical macguffin and then returns home to the farm where he reforges the knife back into a trowel. I believe it might have been the first (or second) of a series, but my library didn't have any of the other parts of the series (this was back before I learned about inter-library loan). 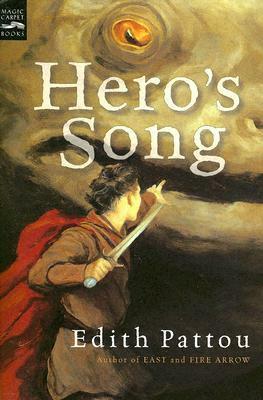 Hero's Song takes the reader on an epic journey through dark-aged Eirren, a parallel to Ireland. Collun is a young man and simple gardener living at peace with his family in their small humble home, but when his beloved sister disappears, Collun must go in search of her. Along the road he finds himself in the company of an aspiring bard,Talisen, a wizard, Crann who dies, a prince of magical beings, Silian an Ellyl which is kind of an elf, and a fiery archer with a mission of her own,Brie whose father was ordered to be killed by Collun's father and dresses up like a boy. The journey is perilous and filled with dangerous encounters. Collun learns the worst is yet to come when he finds the only way to reach his sister is by killing a horrific beast,that is called a Firewurme, which few have seen and lived to tell the tale,because it secrets a fluid that eats your flesh. And Collun travels to his father's home, who he didn't know, with Brie and builds a garden there. Blast! 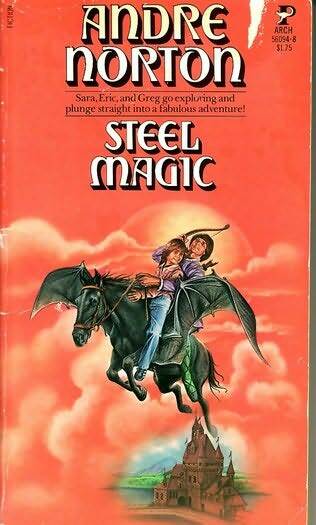 The initial description matched closely to Andre Nortons "Steel Magic" where three children each have an item of dinnerware grow to become a magical tool they need to complete a quest. The other details don't match though. Not the answer you're looking for? Browse other questions tagged story-identification books magical-items or ask your own question.